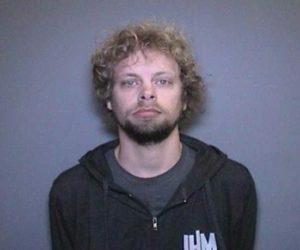 LAKE FOREST, Calif. — A volunteer youth worker at Rick Warren’s Saddleback Church has been arrested on allegations that he committed lewd acts with two teenage boys. According to reports, officials at the church called police after being informed that mentor Ruven Meulenberg, 32, had engaged in indecent behavior with a 14-year-old boy. An investigation led to a second teen, who made the same claims. Saddleback’s website states that its junior high ministry is “designed specifically to help 7th-8th graders connect with Jesus, each other and a caring adult.” Meulenberg had been volunteering with the program for six years, and police are concerned that there might be additional victims. Meulenberg was arrested on Thursday and is being held in the Orange County Jail on $100,000 bail. Saddleback has since released a statement outlining that all volunteers are rigorously screened and trained, and that Meulenberg did not have a criminal past to cause concern. In 2012, in outlining Warren’s efforts to build bridges with Muslims, the Orange County Register reported that Meulenberg’s father, Abraham Meulenberg, was “in charge of interfaith outreach” at Saddleback. Video footage from the “Tornado Twins” YouTube page shows the brothers leading a club-like glow party for a “junior high party in Southern California,” most likely at Saddleback.